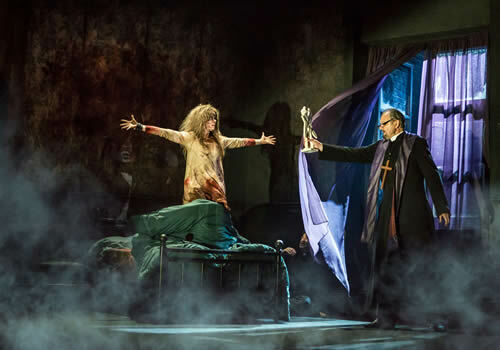 After making its UK debut with Birmingham Repertory Theatre, cult classic The Exorcist is unleashed into the West End in a unique theatrical experience that is bound to be completely spine-chilling. Playing a strictly limited season at the Phoenix Theatre, Bill Kenwright’s new production is set to petrify London audiences. The Exorcist is perhaps best known as William Friedkin’s 1973 horror film of the same name, starring Linda Blair and Ellen Burstyn, which earned two Oscars. Widely acknowledged as one of the scariest movies of all time, the original film shocked an entire generation, becoming an instant classic and going on to become one of the top ten highest grossing films of all time. 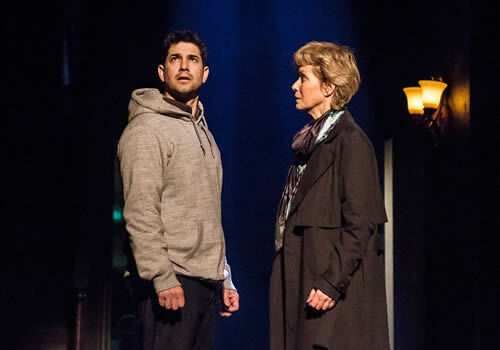 The majority of the original cast transfers with the production, including Jenny Seagrove (How the Other Half Loves) as Chris MacNeil, Adam Garcia (Wicked) as Father Damien and Peter Bowles as Father Lankester Merrin, as well as Clare Louise Connolly as Regan, Todd Boyce as Doctor Strong, Mitchell Mullen as Doctor Klein, Elliot Harper as Father Joe and Tristan Wymark as Burke. Ian McKellen voices The Demon. Award-winning theatre and film director Sean Mathias leads the production, after recently bringing No Man’s Land to Wyndham’s Theatre. He is joined by Olivier Award-winning designer Anna Fleischle, lighting designer Tim Mitchell, illusionist Ben Hart and sound designer Adam Cork, who will also provide original compositions. 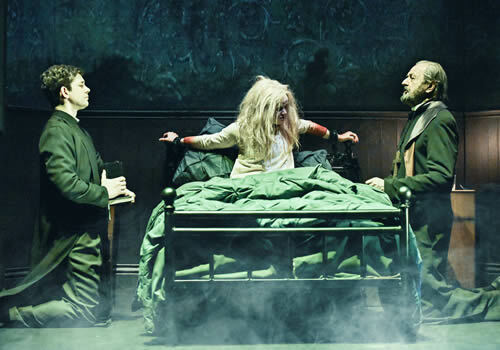 Adapted for the stage by John Pielmeier, The Exorcist received its world premiere in 2012 in Los Angeles. 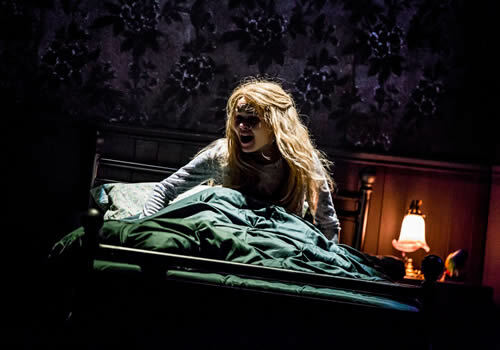 Now, the truly terrifying experience comes to the West End. 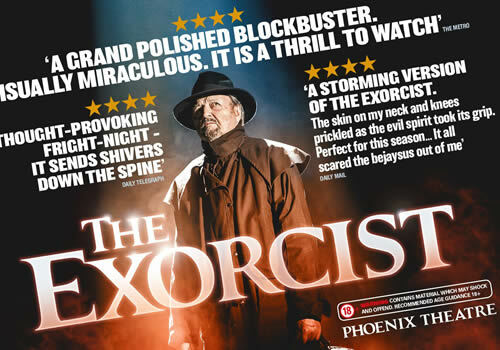 Playing a strictly limited season, The Exorcist runs from October 20th 2017 to March 10th 2018. Please note that The Exorcist has an age guidance of 18+.